V.58: UFC FN 148 When The Drugs Are Better Than Expected On The Eugene S. Robinson Show Stomper! by Eugene S. Robinson Show Stomper! 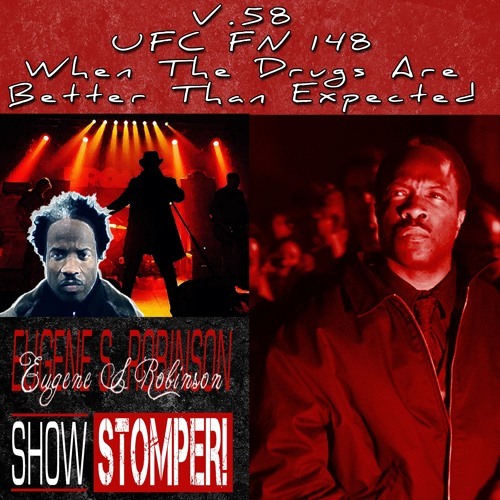 Users who like V.58: UFC FN 148 When The Drugs Are Better Than Expected On The Eugene S. Robinson Show Stomper! Users who reposted V.58: UFC FN 148 When The Drugs Are Better Than Expected On The Eugene S. Robinson Show Stomper! Playlists containing V.58: UFC FN 148 When The Drugs Are Better Than Expected On The Eugene S. Robinson Show Stomper! More tracks like V.58: UFC FN 148 When The Drugs Are Better Than Expected On The Eugene S. Robinson Show Stomper!